Over its 130 years of history, Casa Vicens has solely been used as a residence, originally as a summer home and later as a first residence. It has undergone a succession of different changes and modifications – even being divided into different independent flats – with the goal of adapting it to the needs of the owners at all times. Despite this, Gaudí’s work has been virtually wholly preserved. Casa Vicens was envisioned as a complex whose presence offered an innovative aesthetic whole in both its interior and exterior decorative elements and its garden. Antoni Gaudí designed a summer house divided into four levels: the basement for storage; the ground floor to house the living room, dining room and kitchen; the first floor, which was meant for the bedrooms; and the top floor for the servants. At first the house only had three façades since it was attached to the neighbouring construction on the northeast side; the southwest served as the main façade open to the extensive gardens surrounding the house. This orientation guaranteed sunlight and favourable climatic conditions during the different seasons of the year. The sgraffito inscriptions on the frieze of the gallery that opens onto the garden, which refer to each of the house’s orientations, attest to the deliberateness of this orientation. The ground-floor gallery was one of the most important spaces in the construction. It was envisioned as a semi-open space to connect the indoors with the outdoors, and it allowed the nature in the garden to visually enter the living/dining room. The garden featured a large waterfall nestled within a parabolic arch which helped to cool off the house’s gallery, along with a second circular fountain near the street. In Casa Vicens, Gaudí started with the constructive simplicity inherent to the techniques rooted in the Catalan tradition. However, his architectural vision and conception led him to create richly complex geometries, with a composition of polygonal lines different to the curved geometries of the later works with which the architect is now more often associated. In Casa Vicens, Gaudí created an interplay of concave and convex spaces, lights and shadows, colours and textures typical of the Moorish imagination which engages in dialogue with the Mediterranean vegetation. Gaudí found nature to be the most important source of inspiration in his entire oeuvre, and Casa Vicens is one of the earliest examples of this, since a variety of natural elements are represented and integrated into the entire complex. 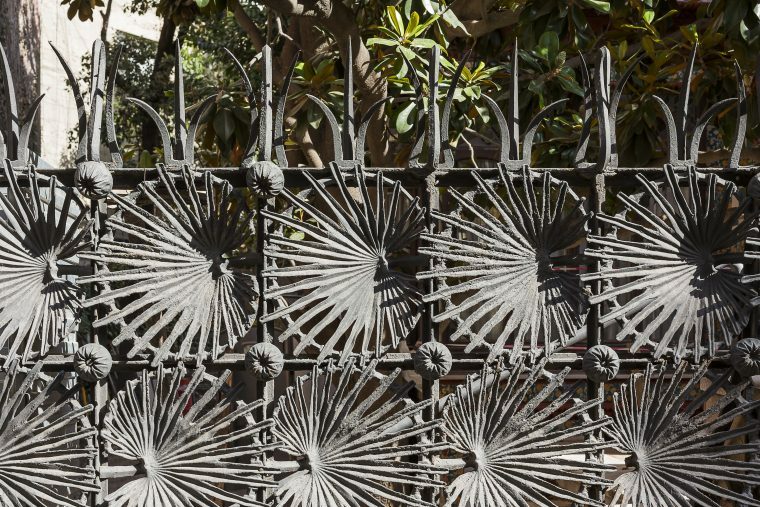 Worth highlighting are the cast iron grille at the entrance to the house, which depicts agaves, a palmetto leaf, and the French marigold flowers that the architect used as an ornamental motif on the ceramic tiles on the façade. 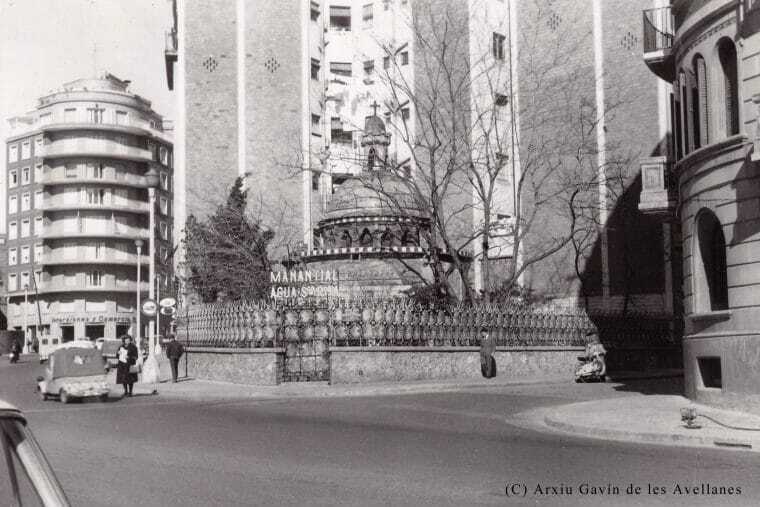 Nowadays, part of this grille can be seen in Park Güell. Not only is this reference to natural elements is present on the house’s façade, but Gaudí also managed to bring nature into the house via the integration of the different decorative arts – wrought iron, painting, ceramic, woodworking, murals, etc. – thus creating a relationship between the indoor and outdoor space. With Casa Vicens, Antoni Gaudí created an innovative, original work. Beyond its Orientalist features, it marks a stylistic rupture with everything built in Catalonia until then, which is why Casa Vicens is regarded as one of the early masterpieces of Art Nouveau (Modernisme).